Birdy and Bambi have been friends since they were 10 years old. Currently living in Germany, they are globetrotting throughout Europe together and chronicling their adventures over at Fat Cat Connection. 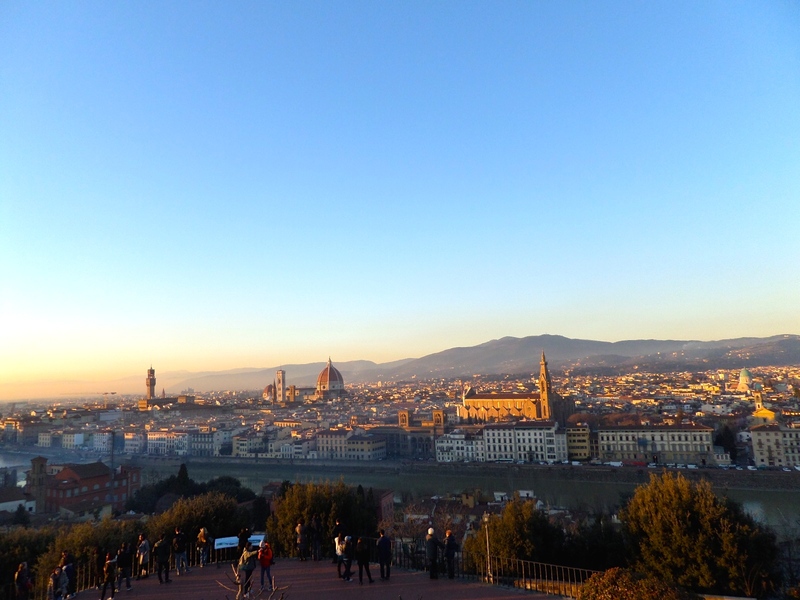 Here they share some of their favorite discoveries from a recent trip to Florence. Take it away, Birdy! Even if we aren´t sure where home is for us–because of youth, craziness, and a bunch of ideas and projects we have in mind – we know, home is where the heart is, and our hearts are deep within our friendship. While traveling through various places in the world, together we feel home everywhere out there. In Naples, we were basically out of order because of the dynamic of the city. 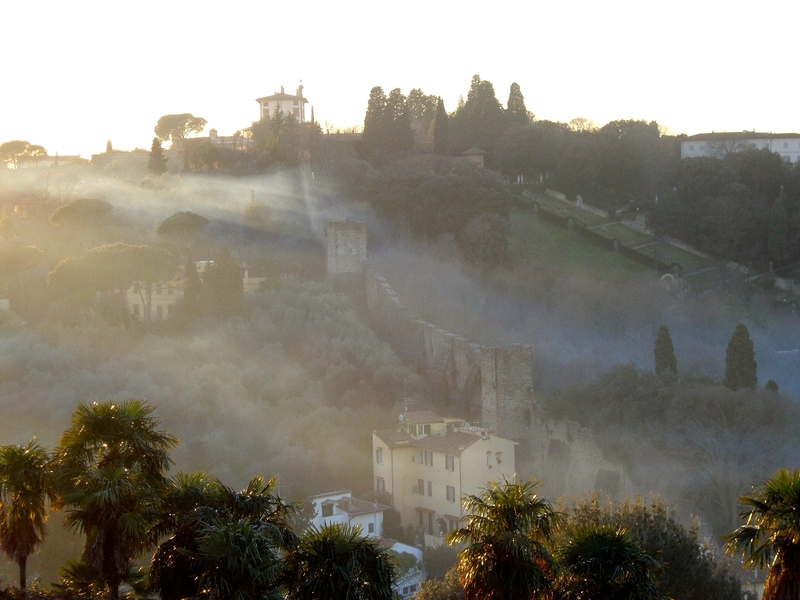 Rome stole her heart…. and Granada mine. Trieste felt like a good vacation for both of us. Leipzig filled our hearts with so many alternative ideas. In Perugia, we had the best talks about the future, kids and hopes. Barcelona was paradise. And now, we visited Florence. A dream came true for us. 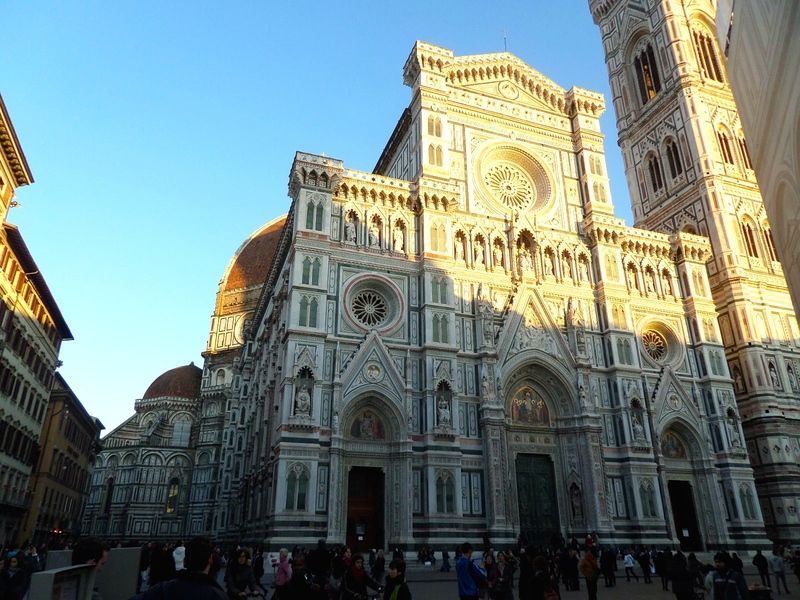 Our first stop was the Cattedrale di Santa Maria del Fiore, the main church in Florence. We think it is the most beautiful cathedral in all of Italy… It combines the colors of Toscani with an old and dignified church. 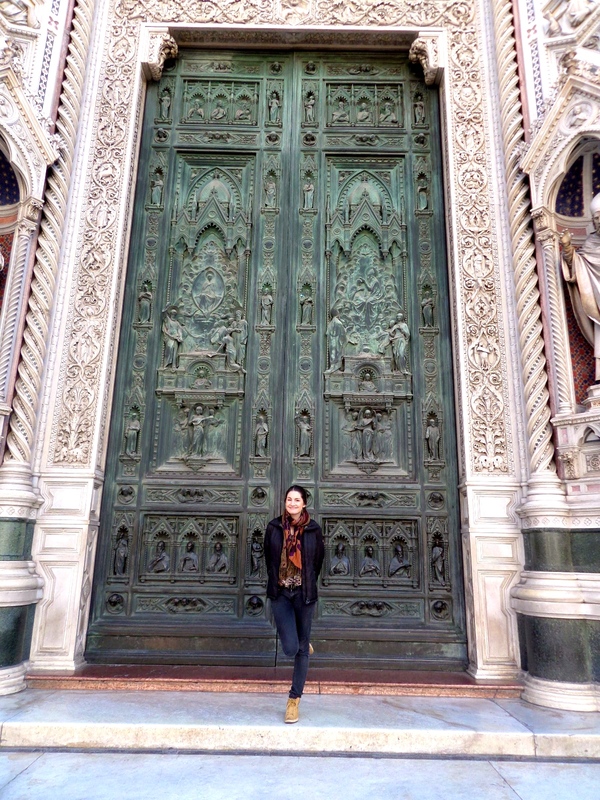 Bambi has a love for church doors. So, she needed a picture in front of this stunning one from the cathedral. One afternoon our tour guides, friends of Bambi’s from Trieste, showed us a plateau over Florence and we had the most beautiful view! At the plateau, Bambi found a sunny spot for me. I enjoyed the warm feeling on my skin and felt like the sun belonged just to me! 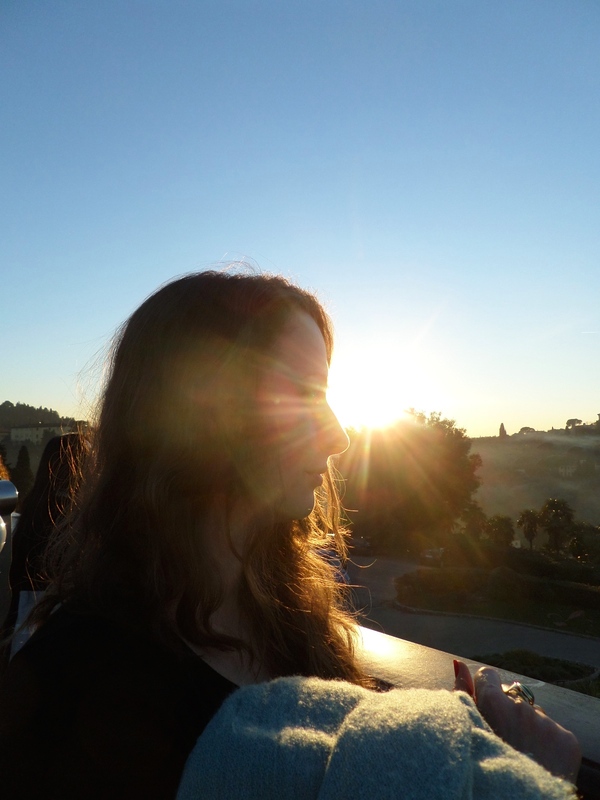 After hours in the Ufizi museum, we enjoyed the balcony of the museum, with wine and good food. For dinner, of course, we had pizza! We found a small pizza place around the corner of our hotel. 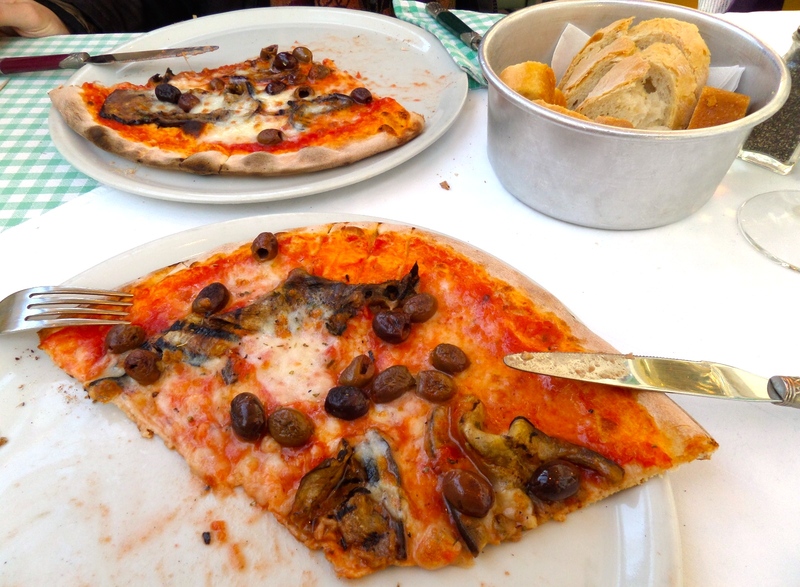 Olives, eggplants and cheese was the best combination we tried in Italy. No trip to Florence would be complete without a stop for gelato. 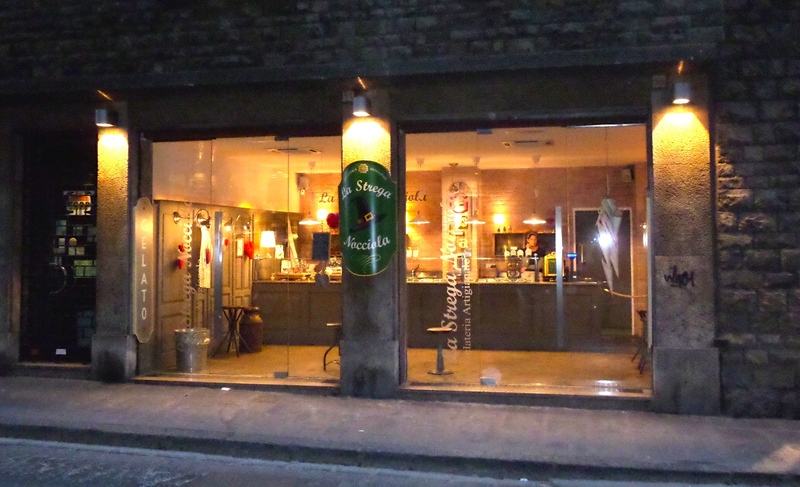 In our opinion, La Strega Nocciola has the best ice cream in the city! 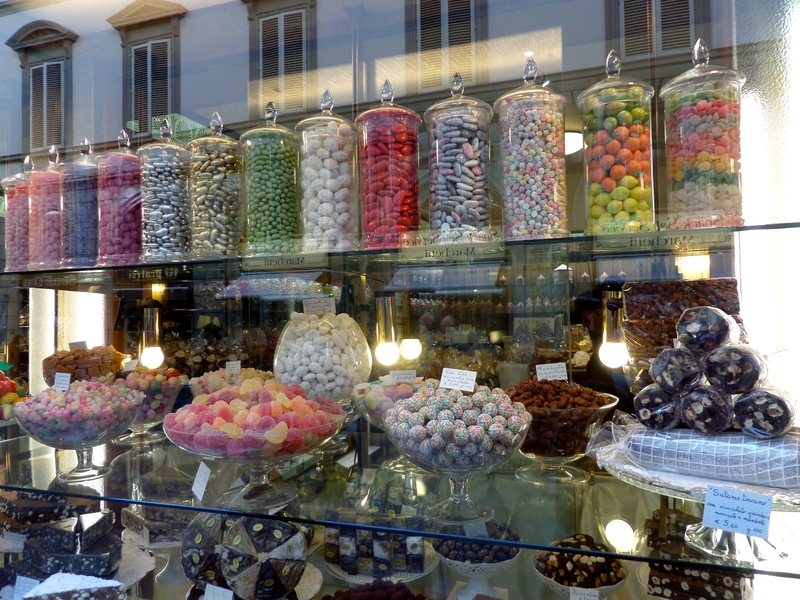 But then again, one can never have too much… CANDY! 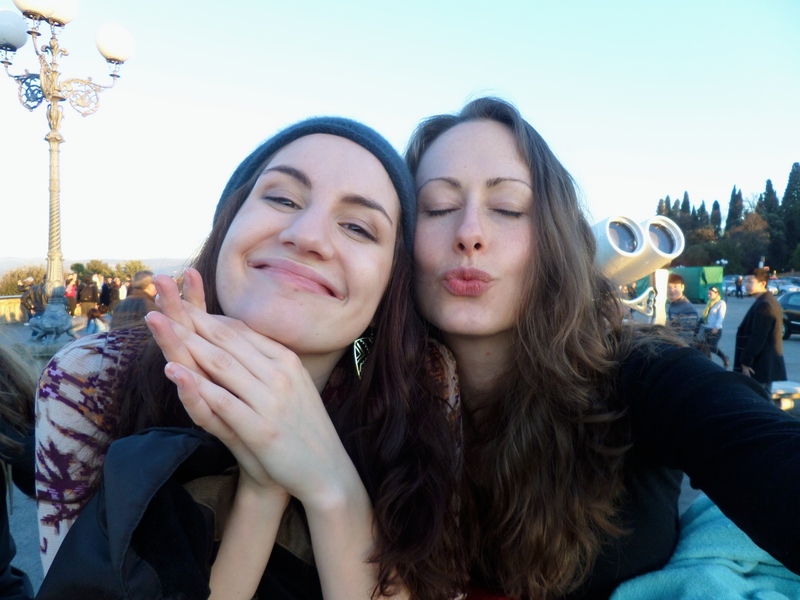 Florence was everything we ever dreamed of. But no matter where we are, we always feel that home is where the other one is! 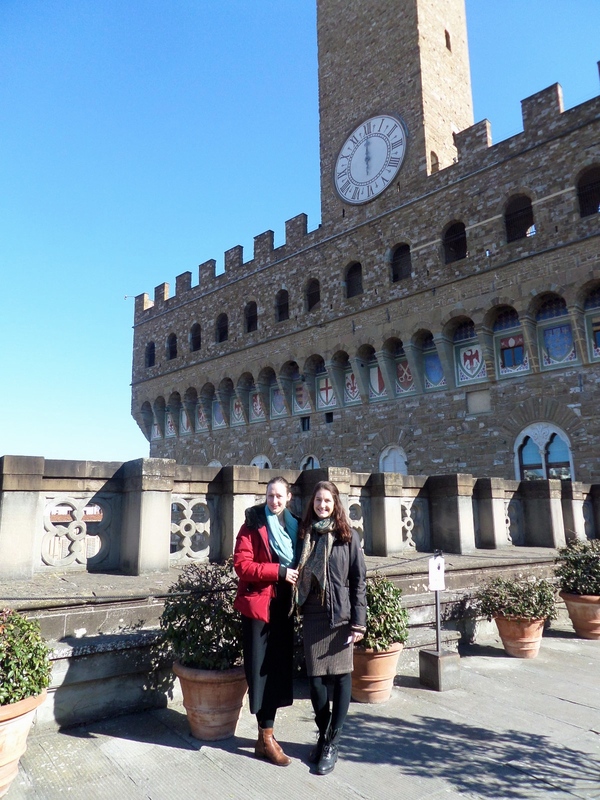 Thank you so much, Birdy and Bambi, for sharing with us your trip to Florence! Clearly, you are such sweet friends. I hope you continue to enjoy charting adventures together, and I look forward to reading all about them over at Fat Cat Connection!